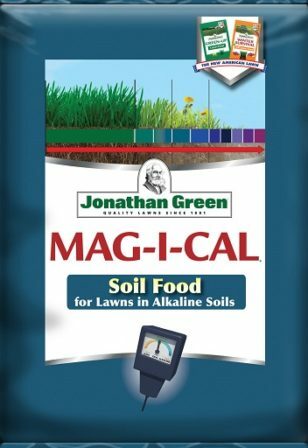 MAG-I-CAL Soil Food for Alkaline Soils lowers soil pH. MAG-I-CAL’s fine particles break-down quickly in the soil and is formulated for superior performance to help improve fertilizer efficiency. Your soil is considered alkaline if it reads between 7 – 14 on the pH scale. Standard fertilizer programs are not enough to get a beautiful lawn. 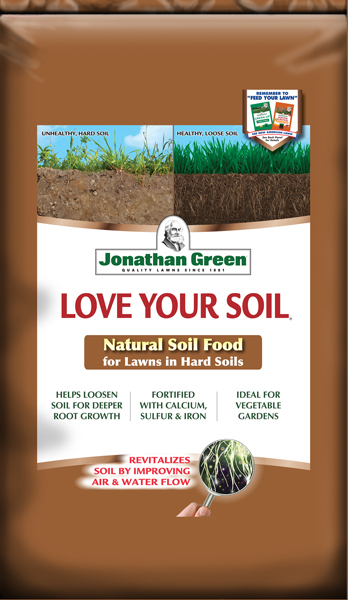 They don’t address the long-term health of the soil, particularly soil pH. Plants growing with improper soil pH levels will not thrive because certain nutrients become ”tied-up” in the soil and are unavailable to the plants. Lowering soil pH may take a number of applications to reach desirable levels. A gradual reduction in soil pH is preferred because a dramatic reduction can result in plant stress. Applying MAG-I-CAL helps balance the soil pH and, at the same time, helps the lawn to grow greener and healthier. Apply to a dry lawn before a rain or water in. 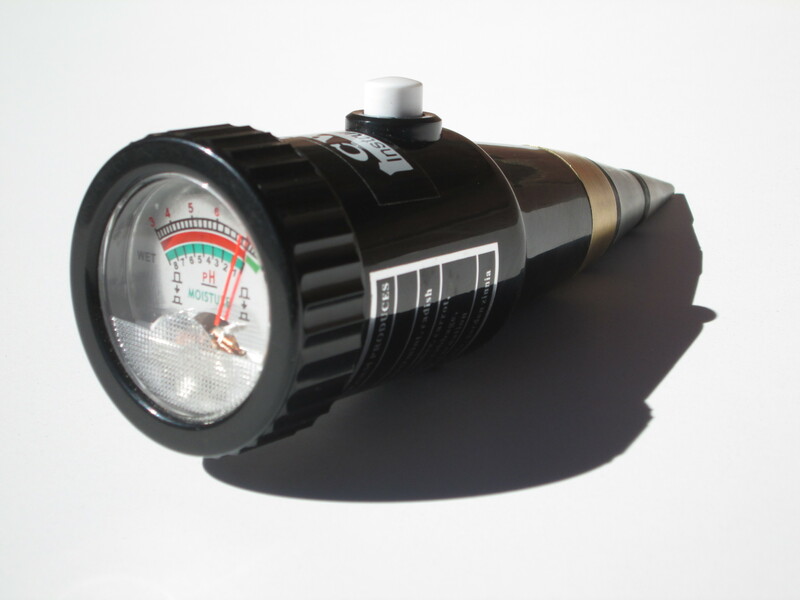 Application rates depend on your soil test results. 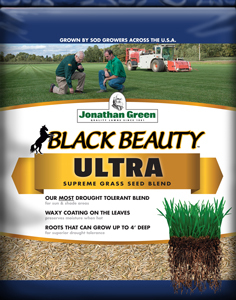 Grass grows best with a soil pH range between 6.2 – 7. 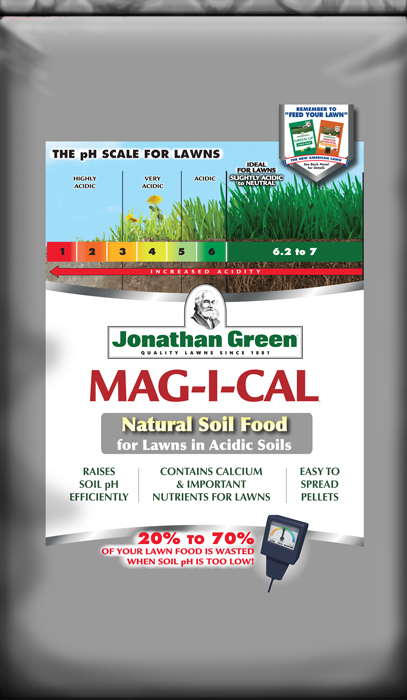 If your soil reading is below 6.2 on the pH scale, you have acidic soil, and need MAG-I-CAL® | For Lawns in Acidic Soil. – If pH is between 8.0 and 9.0, apply in early spring and late spring, early summer and fall. For Gardens: 1 cup = 2 lbs. Apply in spring to lower soil pH. For new plants, use 1 cup per plant, mix well 3 to 4 inches into the soil. For established plants, use 2 cups per plant. Spread evenly around the plant out to the drip line and water well. Repeat in 60 days intervals until desired pH level is achieved. In potted plants, add 1 tbsp. for each 4 inches of plant diameter. Do not spread by hand, wear gloves.